The historical event of the Resurrection is the best place to start when defending your faith objectively—it’s unique to Christianity. There are some basic, historical facts involving the Resurrection that credible historians (believers & non-believing scholars) agree on about Jesus’ death. One of those facts is that Jesus was crucified and buried in a tomb, and later, that tomb was found to be empty. But what if the disciples simply went to the wrong tomb? That’s what the “unknown tomb theorists” would have us to believe. Read on to see why that was not possible. Joseph of Arimathea, a wealthy member of the Sanhedrin, was a follower of Christ who offered his family’s tomb as the resting place for Jesus. This was unheard of at the time, since Jesus was not his family member, and He was considered a criminal. A criminal’s body was seen as something that would defile other family members already resting in their tomb. Since Jesus died right before sunset on Friday, Joseph offered up his burial place quickly in an effort to bury Christ before the Sabbath. Jewish Sabbath was observed from sundown on Friday to sundown on Saturday. To break a Sabbath was to break the law! Burying Jesus needed to be done with the greatest of urgency. Joseph’s tomb was cut out of bedrock. Some tombs were closed with a large, disk-shaped stone weighing as much as two tons (the weight of a small truck!). Often, there was a track cut into the tomb entrance, sloping downward towards the opening, and this made it easy to roll the stone into place to seal the tomb, but it also made it impossible to roll away from the inside. The stone was rolled in place by this groove, and then a block was placed beneath it to prevent it from rolling away. To dismiss the miraculous story that this tomb was found empty, some skeptics claim that Jesus’ body was thrown into a common-pit grave, unknown to the disciples. This theory then hypothesizes that the disciples made up the empty tomb story and thus created the Resurrection. Others assume that the women at the tomb were confused and went to the wrong burial place. On the Jewish Sabbath, the chief priests and Pharisees should have been at their devotions. Instead, out of fear of someone stealing the body of Jesus, they were discussing with Pilate how to secure the tomb. They decided upon several security measures to stop any story that Jesus had returned from the dead. They would put additional security guards at the entrance to the tomb to make sure the disciples didn’t return to try and steal His body. The Pharisees hated Jesus. They earnestly believed He was a deceiver, and recalled that Jesus foretold that after three days, He’d rise from the dead (Matt. 27:63). Governor Pilate granted their request to keep the peace and to prevent any uprising. 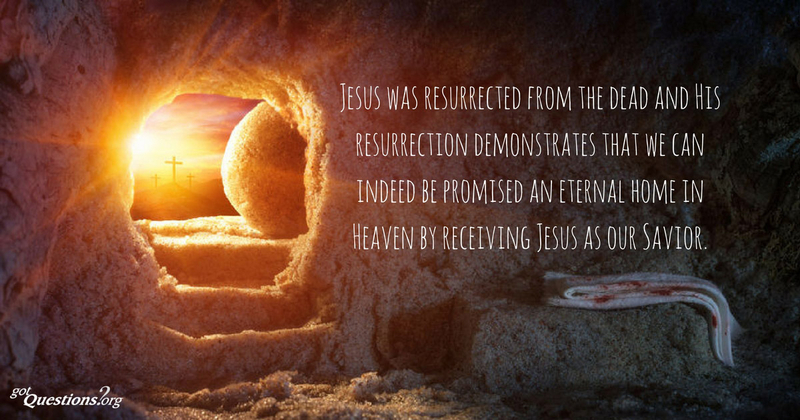 The religious leaders wanted to thwart any idea that Jesus could rise from the dead. To them, this would be a worse deception than Jesus’ claim to be the Messiah. So, guards were stationed there the next day, and they would remain until the third day passed. Nothing was out of place when they showed up, and so they sealed the tomb. Soon these guards would have the surprise of their lives! The Bible records that an angel moved the heavy stone like a bolt of lightning, which caused the guards to fall down as dead men (Matt. 28:4). Later, when the guards reported what happened, they were paid off to spread this lie—the disciples stole the body (Matt. 28:12-13). Even back then, there was a cover up to try to get people to disbelieve in the Resurrection. Placing Christ in a rich man’s tomb honored Jesus and provided evidence that lined up with prophetic statements made centuries before (Isaiah 53:9). This tomb was a verifiable place – everyone knew where it was; the women did NOT get it wrong and go to the wrong burial place. They knew what they were doing! Spices were needed to complete the preparation of Jesus’ body for proper Jewish burial practices. Because Jesus was murdered late Friday afternoon, the female disciples didn’t have enough time to finish the customary ritual of preparing the corpse. The Sabbath was honored from sunset Friday to sunset Saturday, and it was against the law to do any kind of work whatsoever between those hours. The women were simply going back to complete their job early Sunday morning. Burial practices involved a complicated process including wrapping the body in grave cloths with a significant amount of spices, like myrrh. This would ensure that the body would not smell terribly as it decayed. In that day, after the flesh decomposed, family members returned to the tomb to collect the bones, to be stored with other family members who had passed. Since Jesus was placed in a rich man’s family tomb, family members might come to collect the bones of loved ones, or place another family member in the tomb upon passing. Often, the bones were reverently placed in an ossuary, in a traditional pattern, and placed on a cave shelf within the tomb. Yet, the bones of Jesus were never found because there was no body remaining there! Interestingly later on, an inscription was found near Nazareth by Emperor Claudius forbidding the “tampering” with tombs. We can only speculate there must have been talk about the empty tomb of Christ. The officials didn’t like this chatter, and so probably passed laws in a feeble attempt to thwart the growing Christian religion. Joseph’s tomb was a verifiable place, so well-known that Jewish leaders placed guards by it to ensure no one tampered with it. What the women found that Easter Sunday morning was, in fact, an empty, “known” tomb. Thank you for sharing about the tomb. He Is Risen! Risen Indeed! Hallelujah, He is Risen! Thanks, Melissa, for stopping by! Great discussion. Funny how the naysayers keep forgetting that, of the disciples who supposedly made up the story, almost all died because of their refusal to deny it. People lie for various motives. They don’t lie so they can be martyrs to the lie. 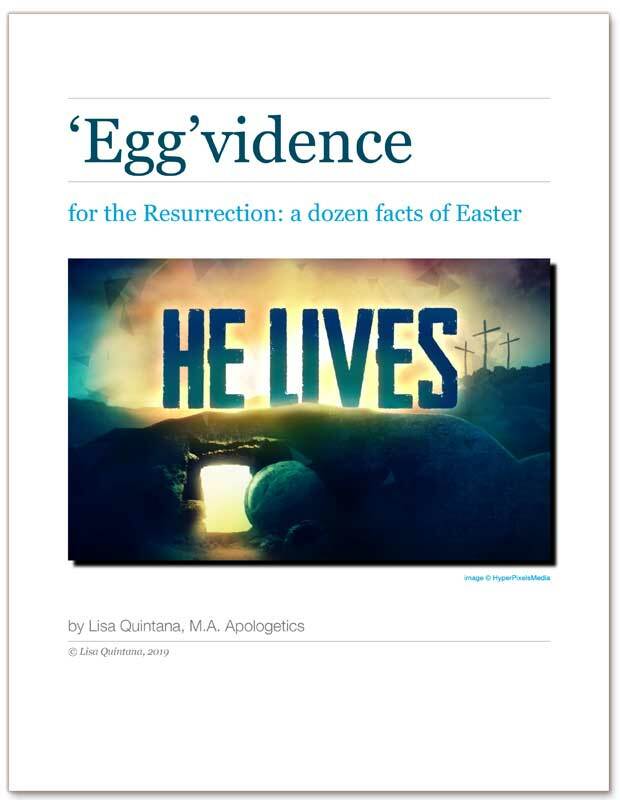 There are a lot of naysayers that drum up new “theories” every Easter season. But the good news is that we can defend our position because there is good evidence backing it up. Bless you, too – thanks for the comment! Lisa, I not only love your apologetic-style research and writing, I also love your heart and voice. 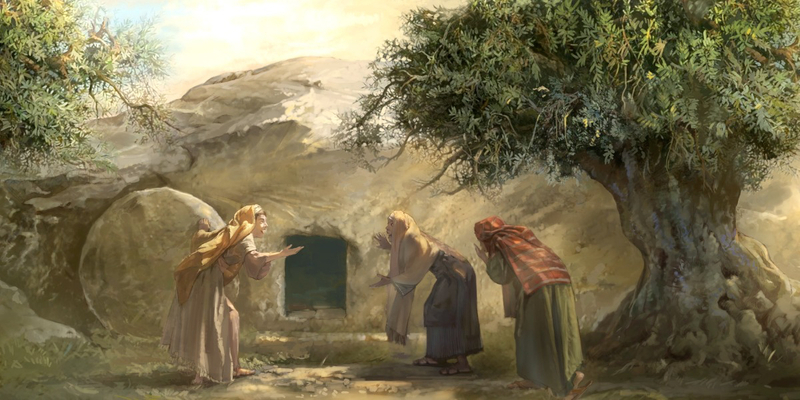 I’ve heard several theories trying to prove the Resurrection was a hoax, but never that the women went to the wrong tomb. So thankful historical accounts prove otherwise. It makes the power of fulfilled prophecies that much more glorious! Thanks, Karen! Your comments always make me feel so good, and keep my enthusiasm up for continued work in this area. And yeah, at what lengths some people go to in feeble attempts to make the empty tomb appear less miraculous than it was is, at times, wearisome. Yet, we have the right answers despite the naysayers. This was very interesting to read. I have never thought about the timing of the women performing the customary ritual of preparing the corpse. I have always found it interesting that the women were the first to see the empty tomb. Love your insights on the resurrection. Thanks, Marcie. 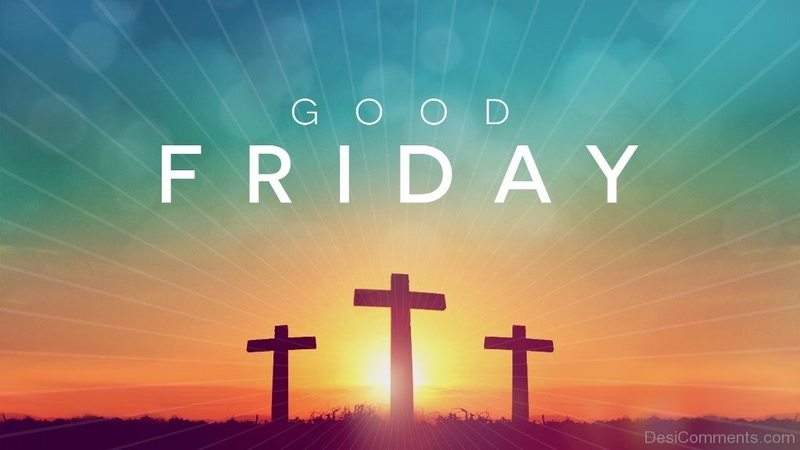 One quote I heard lately that I absolutely love, but don’t know who said it was that: “Women were the last at the foot of the Cross, and the first at the Empty Tomb.” Amen! Jesus loved His female followers, made them feel equal and valued, and because of that, they were some of His most devoted disciples. I love the reminder that Scripture is God-breathed and without fault! I’ve been studying Mary Magdalene for the past year for a book and Bible study I’m writing, and so I’ve greatly enjoyed learning about the moments at that empty tomb. I so enjoyed reading this article! Mary Magdalene is one of my favorite characters in the Bible. She exemplifies a truly repentant person, and how the love of God can radically change people. Thanks for stopping by!